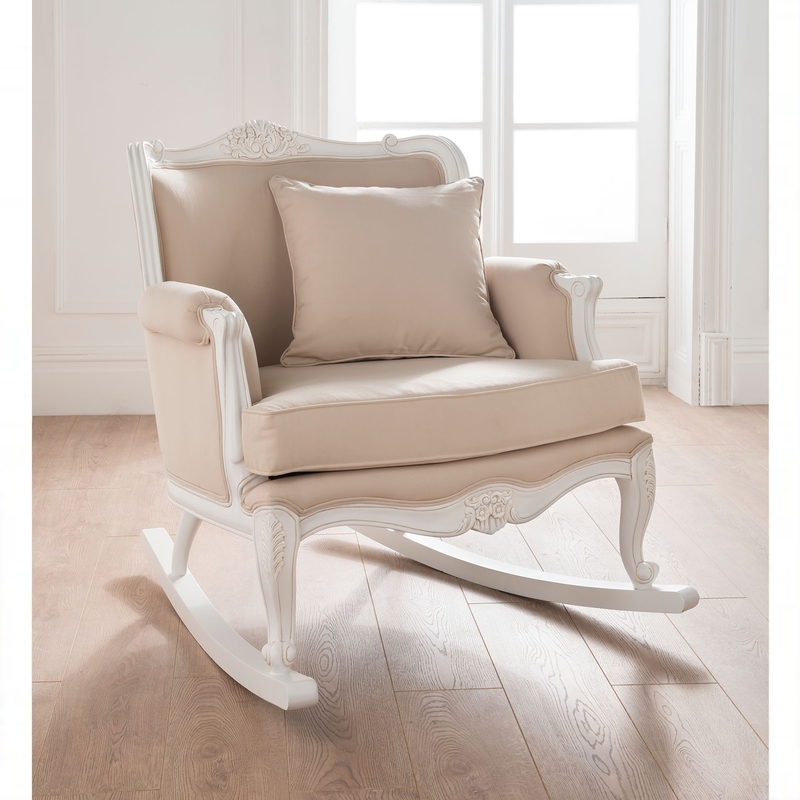 We are proud to welcome from our exceptional range of antique French chairs, this stunning rocking chair. Finished in a luxurious antique white with a beige fabric and cushion. Handcrafted an carefully built to the highest of standards by experts, this chair will astound and brighten up any room in your wonderful home today.